In 2014, filmmakers Phil Lord and Christopher Miller accomplished a rare feat: they made a kids movie — filled with crossovers, corporate synergy and a bubbly theme song — that could make even the most cynical cinemagoers' hearts melt. The LEGO Movie was a critical and commercial smash, paving the way for future adventures and storylines within the micro universe. 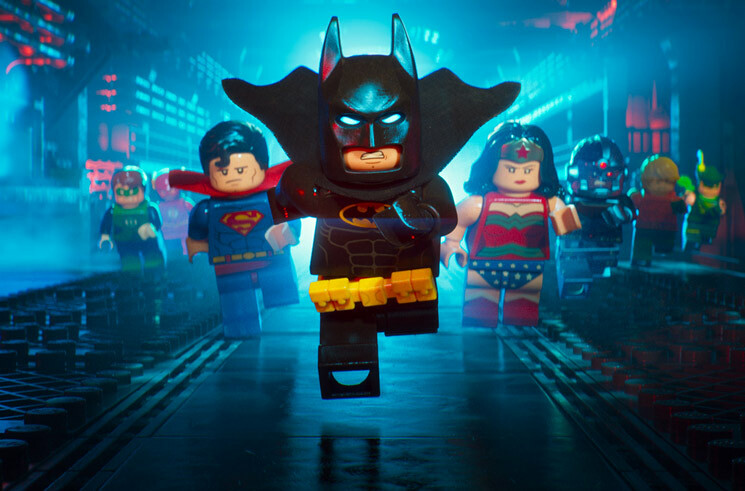 The first film out of the gate is The LEGO Batman Movie, an action-packed, dazzling adventure that finds Batman (voiced again by Arrested Development's Will Arnett) and Robin (Michael Cera) teaming up to take on the toughest baddies the DC Universe — as well as the picture's parent company, Warner Bros. — has to offer. Last February, it would have been impossible for fans of the Dark Knight to guess that The LEGO Batman Movie would beat out Ben Affleck's Batman when it comes to delivering pure excitement in theatres, but you can thank director Chris McKay for that; after years of honing his craft with Seth Green and the Robot Chicken crew, his satirical, stop-motion animation skills have found the perfect home with the toy line's cinematic side. With a way bigger budget and ample animators at his disposal, it feels like McKay's main goal was to live out every child's fantasy with his first (and hopefully not last) LEGO movie. The attention to detail is astonishing. Gotham —­ built with both digital and real LEGO pieces, past and present — looks as easily explorable as Arkham City, complete with blink-and-you'll-miss-them cameos from classic characters and fight scenes that kids using LEGO Studios over a decade ago could only dream about.